Akit's Complaint Department: Where is the Best Seat on BART? In May, Muni/Caltrain Diaries posted an interesting entry about the location of the "pimp seat" on Caltrain vehicles. For the original gallery cars, it's the seats facing each other and gives people extra legroom and space to place their bags and such on the other chair. So it made me wonder, where's the best seats for BART? We all know about BART's well... seating reputation. People have put their feet on the seats, done some really gross stuff (in which I won't describe) that would get someone arrested, and some bicyclists thinks its cool to use the senior/disabled seats. In my search for the perfect seat, there are lots of decent seats with comfortable legroom, but in most of the train car, the sound of the track noise can be unbearable. During a trip to downtown, I found some decent areas to sit that are both comfortable for my long legs, and has a lower track noise. Almost any seat on the first car. When the car is in motion, the sound travels towards the rest of the cars, so if the track noise squeaks in the first car, it's much louder in the second car and beyond. Any car, as long as you sit within the front quarter of the car. The seats I'm talking about are the infamous quad seats (the ones that faces each other), the disabled seats near the door, and the four seats facing towards the opposite direction the car is moving. The reason is the sound pours through the thin doors and moves through the middle and rear end of every car. The front quarter of each car is well protected from sound due to the sliding doors separating each car, plus the wheels and motor of the train car is directly below the quad seats. For you BART regulars: Where's your favorite seat and why? Please comment. There is no such thing as a good seat on BART. They're all extremely filthy!!!!! I pray that nobody ever sits on their own bed at home after riding on a BART car with their regular street clothes still on. I'm sure you could contract a venereal disease from those seats. I'm still questioning WHY the seats are cloth. It'd be better if the seats were just plastic like they are everywhere else. For sanitary reasons, the best seat on BART is to stand and grip onto a pole for dear life. And then sanitize your hands. I agree with Susy: there is no good seat and they should use their surplus funds by changing the seats to plastic. My commute on BART isn't very long so I just end up standing from Balboa to Embarcadero. BART’s System Safety Department periodically monitors on-train noise levels. For employee safety, BART applies the more stringent Cal OSHA requirements, rather than the Federal OSHA laws. The OSHA noise exposure regulations are based on time weighted average noise measurements made over an 8-hour period. An instrument called a dosimeter is used to measure the noise exposure. A “slow response” methodology, that minimizes impulse noise is used. This microprocessor-based instrument essentially records the decibel level and time. Compliance is determined by the area under the curve created by graphing the noise levels an time . . . not instantaneous measurements. The time weighted average exposures for a BART rider or train operator are well below the OSHA limits. While the noise levels are not unsafe, they certainly are annoying. The train noise we typically experience at BART is “tonal”. What this mean is that the noise is predominantly in a particular band of frequencies. This, to the human ear, makes the noise seem louder. An analogy is the noise from running fingernails across a chalkboard. Typically the noise we experience at BART is due to a phenomenon called rail corrugations. Small ripples are formed on the top of the rail as a part of the wear process. When the train wheels pass over these ripples it causes the wheels to resonate, which amplifies the noise. The formation of these noise producing rail corrugations is based upon the number of cars that pass. Since all of BART’s train routes (except for the Richmond/Fremont line) go to San Francisco, corrugations occur at a faster rate compared to the rest of the system. This is a problem with all railroads, and more particularly public transit agencies. 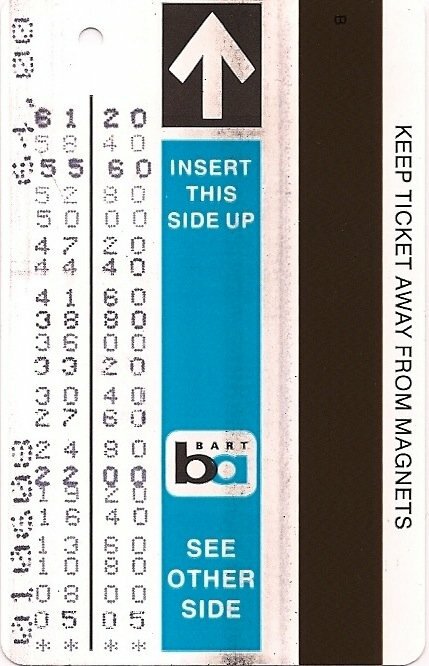 BART has been dealing with this since its opening in 1971. To repair these corrugations BART uses a machine, the size of a railway locomotive that grinds the rail smooth. This rail grinding is a continuous on-going process throughout our 240+ miles of track. BART has been actively involved in industry research regarding wheel rail noise and mitigation. Based on this research we have installed two experimental test sections of track to implement the recommendations from some of this research. Additionally, BART is aggressively expanding it efforts in advanced rail lubrication techniques and was involved in the development of environmentally safe vegetable oil based lubricants . Other than corrugation, other conditions can also present a varied level of noise, including the fact of travel through enclosed areas such as tunnels where there is limited area for normal noise to dissipate. As there is a very wide range of individual sensitivities to levels of sounds as well as types of sounds, some persons may choose to employ headphones. earphones, or other personal appliances in response to undesired sounds. I hope that the foregoing has responded to your inquiry. I have measured the decibels for both the trans bay tube and the oakland/orinda tube. I believe OSHA limits the safe noise levels for the human ear at 85db. the recorded noise levels for the afore mentioned tubes easily exceeds 100db!